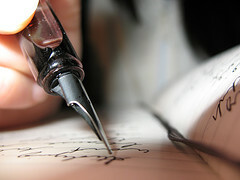 Writing is an imperative leg of any business, especially in the digital age of communication. Any web-savvy prospect will first look you up online before even thinking of investing in you or buying your service or product. And today, most people can work with Google and Yahoo! search engines. After all, it doesn’t take too much to punch in keywords like “Melbourne used car seller” or “New York financial advisor”, does it? Given the situation, you must have thought about hiring a writer for keeping your company blog up to date, writing sales pages, website content or advertisements. The Internet is full of writers for hire. Separating the wheat form the chaff and hiring a quality writer within budget could get challenging as your business grows. There are far too many sob-stories of small businesses getting almost no results because they either hired an inexperienced writer or someone who was well out of their budget. 1. Website: If you’re hiring someone to write online copy along with offline content, isn’t it obvious that they have a decent writing website at the least? A professional writer should have a well-designed, clutter-free and informative website. It doesn’t have to be too fancy — a simple website will do. A website acts like the first point of contact between you and the writer, and is a great tool to gauge the skills and commitment of the writer. 2. Samples: Having a website is not enough. No website is complete without solid samples for you to see. Samples are like the professional writer’s toolkit — proof of their claims that they are fine at their craft. 3. Rates: Money is an important aspect in any business. The lower the cost of a commodity in your business, the better. However, don’t be duped by cheap rates such as $10 per piece. Think about it: Why would a professional writer with high-quality results charge so low? Aren’t they getting enough clients? Is their writing sub-standard? Are they plagiarising? Is their grammar poor? Once you’ve identified this (check their samples), you can now decide whether you want to risk your business using sub-par skills or want to look elsewhere for a reasonably priced writer who cares about your business. 4. Testimonials: Testimonials are like a stamp of confidence given to a professional writer by other business owners. A talented writer will be able to showcase testimonials and references from several clients. Beware of fake testimonials however. A way to gauge this is whether they have a link to their previous clients’ website on their testimonials page. Hiring a freelance writer is about trust, partnership, and bringing out a quality piece of work which your audience find enjoyable, easy to understand and influencing. I hope these pointers will help you find the right freelance writer for your business. If you’d like to discuss your needs further, feel free to get in touch with me now. How do you hire a freelance writer? Share your tips below!